Comedic value aside, Fey and Hammond's performance should serve as a wake up call to the left. Why? Because we are fast approaching the actual election, and America is facing the genuine prospect of a Trump led Republican Party -- and more than that -- the horrific potential of a Trump presidency with Sarah Palin in his cabinet. From a comedic perspective, Tina Fey&apos;s impression of Sarah Palin is nothing short of brilliant. 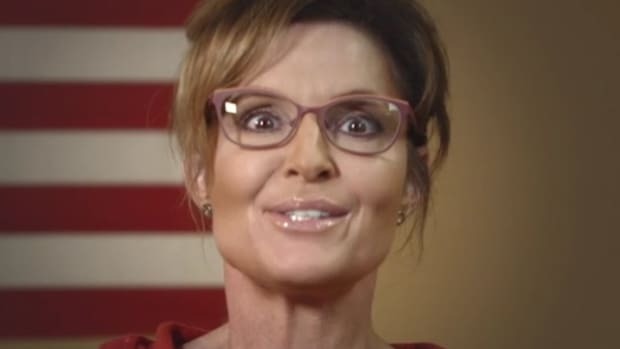 Her cadence, pitch, and physical mannerisms are an almost perfect copy of Palin&apos;s, and her garbled lexicon sometimes makes more sense than the real thing. The character&apos;s comeback over the weekend was just as funny as it was 8 years ago, and a reminder of how good Fey is as a physical comic. Comedic value aside, Fey and Hammond&apos;s performance should serve as a wake up call to the left. Why? Because we are fast approaching the actual election, and America is facing the genuine prospect of a Trump led Republican Party -- and more than that -- the horrific potential of a Trump presidency with Sarah Palin in his cabinet. Sarah Palin and Donald Trump rose to political fame in two different eras -- the former as an antagonist to Obama and intellectualism in general, and the latter as a symbol of brute force and greed over justice and the growing concerns over our planet&apos;s ecological health. These two eras have now come together to form a truly dangerous synergy of mindless egoic idiocy, and it will take a concerted effort to ensure it gets nowhere near the White House. The duo actually have little in common other than their strident anti-intellectualism and rampant xenophobia. 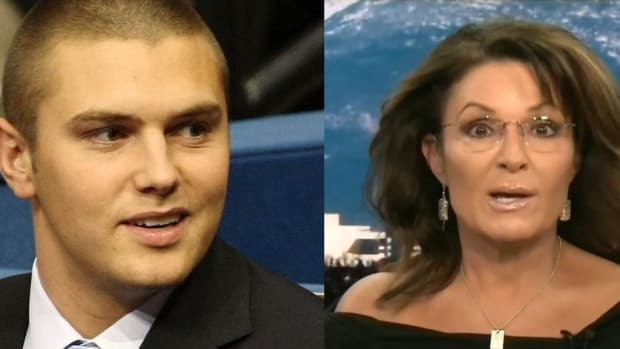 Trump is a business savvy New York billionaire, while Palin is a dimwitted ex-beauty pageant from Alaska -- but as the SNL skit implied, Trump is using Palin to pick up evangelical voters, while Palin is using Trump to become politically relevant again. It is a symbiotic relationship born out of necessity, and the uneasy alliance could be wildly successful, or wildly disastrous depending on whether they are able to keep their egos in check and follow the script. The odds are of course, that neither party will be able to suppress their innate narcissistic tendencies. "I didn&apos;t know it was going to be quite that long," Trump told CNN&apos;s Don Lemon after Palin&apos;s endorsement last week -- a sign that he is well aware of just how stupidly dangerous Palin can be. But the left should not rest on their laurels and assume the new alliance is doomed to self destruct, no matter how surreal and idiotic it gets. 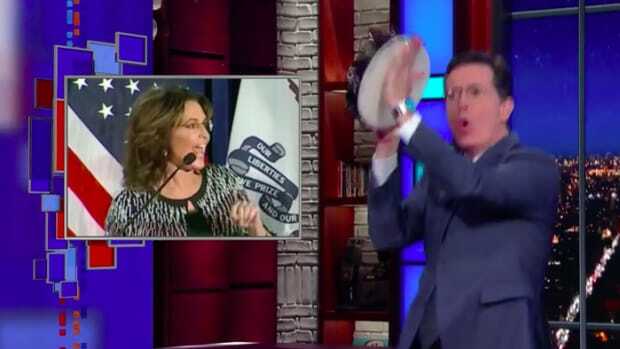 In 2008, Tina Fey helped America see who Sarah Palin really was -- a small minded bigot who belonged on day time TV reality shows rather than the Presidential election circuit. Fey&apos;s impression was hilarious, but was ultimately a political message to a nation at a turning point in history. If no one could tell the difference between a comic and a politician, surely the latter had no business running for the highest office in the land? John McCain failed badly in his bid for the presidency, in large part due to picking Palin as his running mate. This was a fact not lost on the GOP establishment that has since shunned Palin from the party. 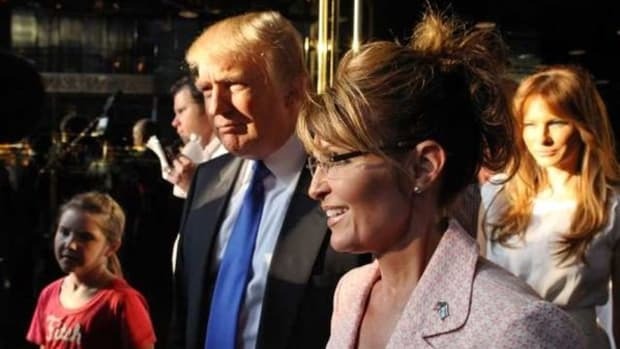 But the GOP establishment is now no longer in control of their party -- Donald Trump is -- and he has brought Sarah Palin back to assist him in his run for the presidency. The nation is again at another turning point in history, with stakes arguably higher than ever. Perhaps inadvertently, Tina Fey came back to remind us of that. And while funny as hell, it really is no laughing matter.